KSL established by C K Lim with a small Chevrolet truck. 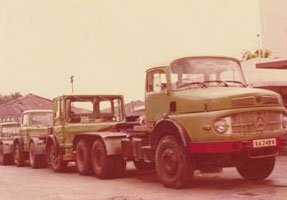 Second Hand Leyland Prime Mover and trailer purchased. Second Hand 6 tonne Bedford Lorry attached to a 3 tonne Hiab crane purchased. Second Hand Mercedes 10 wheeler Prime Mover purchased. Brand new Scania 113 10 wheeler Prime Mover purchased. Incorporation of Kim Soon Lee (Lim) Heavy Transport Pte Ltd. Brand new Volvo F12 10 wheeler Prime Mover purchased. Brand new 10 axle commetto purchased. Acquired Hock Teong Huat, a container trucking and general cargo transport company, taking over 6 prime movers, 2 lorries and about 20 trailer chassis in the process. 5 acre Eunos yard acquired from HDB with 15 years lease. Kim Soon Lee was ISO 9002 certified. First offshore term contract with MSW (Mannesmann, Siemens and Wallich) at Jurong island clinched. Kim Soon Lee supplied most of lorry cranes, trailers and lowbeds required for 2 years project. Kim Soon Lee diversified into machinery moving, packing and crating services. The concept of being a ONE-STOP Transportation & Moving Specialist was born. 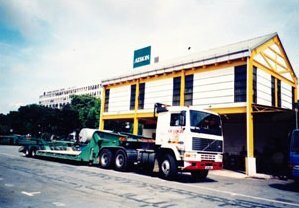 Purchase 12 wheeler lorry attached with 35 tonne crane (Hiab 700), then the biggest in Singapore and first in Asia. Kim Soon Lee was ISO 9001 certified. Awarded Circle Line Project for provision of transportation and construction equipmentsPurchase 12 wheeler lorry attached with 40 ton crane (Hiab 800) then the first in Asia. 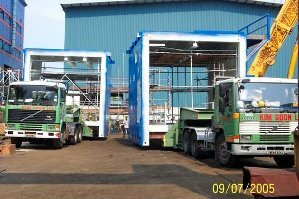 Incorporation of Kim Soon Lee Pte Ltd.
Purchase 10 wheeler lorry attached with 23 tonne crane (Fassi 450) then the biggest in that category in Singapore. Purchase 2 units air suspension Scania Prime movers and 4 units of air suspension trailers. Acquired Bedok yard. 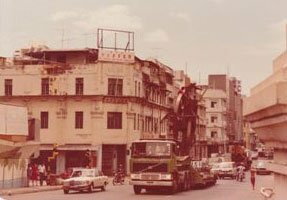 Headquarters was shifted there from Eunos one year later. Purchased 2 units of 12 wheeler lorries attached with 55 tonne cranes (Fassi 1100), then the first and biggest in Singapore. Incorporation of Kim Soon Lee Logistics (S) Pte Ltd. 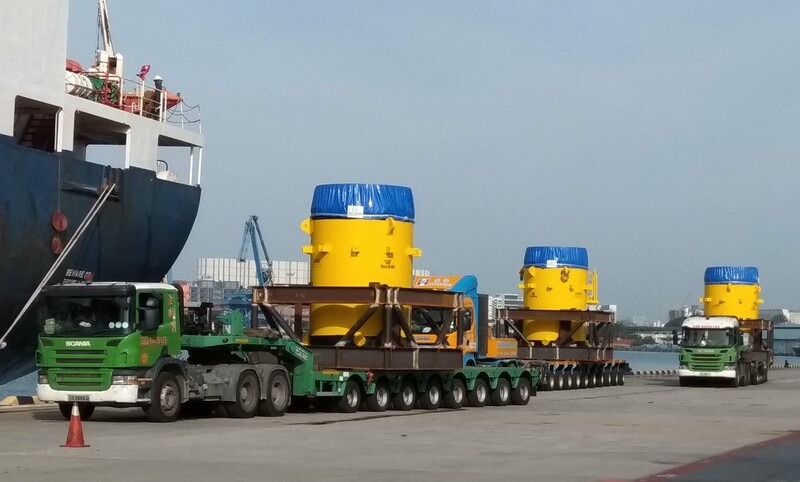 Purchased 1 unit of 12 wheeler lorry attached with 75 tonne crane (Fassi 1500), then the biggest in Singapore. “ONE-STOP Transportation & Moving Specialist” was coined as the official slogan of Kim Soon Lee. Awarded contract for Formula One race to erect and transport spectator stands and lightings. Awarded transportation service contract for construction of Marina Bay Sands. Awarded contract by Exxon Mobil SPT (Singapore Parallel Train) in Jurong Island. Selected and acknowledged by LTA to produce a national training programme for all Class 4 and above drivers in Singapore due to Kim Soon Lee’s good safety records. Awarded transportation contract for construction of Resort World Singapore. Acquired 2.5 acre Toh Tuck yard with a 10 year lease. Eunos yard lease extended. Purchased 6 axle commetto trailer. Awarded contract by Ericsson for full transportation and logistics services including transporting, installing, hoisting and warehousing of the latest 4G equipment throughout Singapore – 1st in South EastAsia. Awarded contract for Inaugural Youth Olympic Games in Singapore. Kim Soon Lee Pte Ltd was awarded Enterprise 50 Award. Kim Soon Lee was OHSAS 18001:2007 Certified. Kim Soon Lee was bizsafe Star certified. Purchased 8 axle commetto trailer. Kim Soon Lee was awarded Successful Entrepreneur 2011. Kim Soon Lee was awarded Gold Award in recognition of contribution towards National Day Parade 2011. Purchased 90 tonne Effer Lorry crane mounted on a Man truck. Purchased 4 units of Brand new Liebherr Mobile cranes, namely 2 x 70 tonne, 1x 100 tonne and 1 x 160 tonne. Kim Soon Lee was awarded Gold Award In recognition of contribution towards National Day Parade 2012. Awarded contract for transporting long steel building structures and also providing lorry cranes and mobile crane services for the construction of Singapore Sports Hub. Kim Soon Lee was awarded Gold Award in recognition of contribution towards National Day Parade 2013. 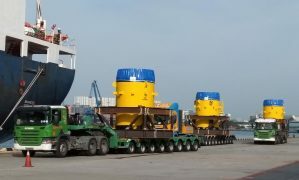 Purchased 4 units of Brand new Liebherr Mobile cranes, namely 2 x 70 tonne, 1x 100 tonne and 1 x 200 tonne. Kim Soon Lee was awarded Gold Award in recognition of contribution towards National Day Parade 2014. Kim Soon Lee was awarded Gold Award in recognition of contribution towards National Day Parade 2015. Purchased 8 acre warehouse in Tuas with 32 years lease. Kim Soon Lee Logistics (S) Pte Ltd was awarded Enterprise 50 Award and achieved a creditable 8th Position. Purchased 100 tonne Effer Lorry crane mounted on a Scania truck. Purchased 1 more unit 0f 100 tonne lorry crane. Purchased 24 tonne Toyota Forklift. Purchased 110 tonne Fassi Lorry crane mounted on a Scania truck. Purchased 7 axle “Vessel Bridge” trailer from Goldhofer. Kim Soon Lee was awarded NS Mark (Gold) Award for demonstrating exemplary support for National Service and Total Service. Kim Soon Lee Celebrate 50 Years Anniversary. Purchased 1 unit of 300 tonne Liebherr LTM 1300-6.2 Mobile Crane.